With publishers scrambling around in the wake of Facebook’s algorithm changes last year, a number of previously undervalued news platforms started to spark publishers’ interest. Namely Apple News and Flipboard, these news platforms were able to position themselves as a healthy addition, if not direct replacement, for traffic numbers lost on Facebook and other platforms. Both Apple News and Flipboard, to name just two of the major news platforms available to publishers, started to show increased traffic numbers throughout 2017 and 2018. Flipboard claims to have 100 million active users, and many fall into the 34 – 54 age range, which is particularly valuable for advertising revenue. Apple News is slightly more guarded about the amount of users they have. The last time they released any official data was in 2016 when they claimed to have 70 million active users, up from 40 million the previous year. There’s no reason to suggest that hasn’t grown in the years since. 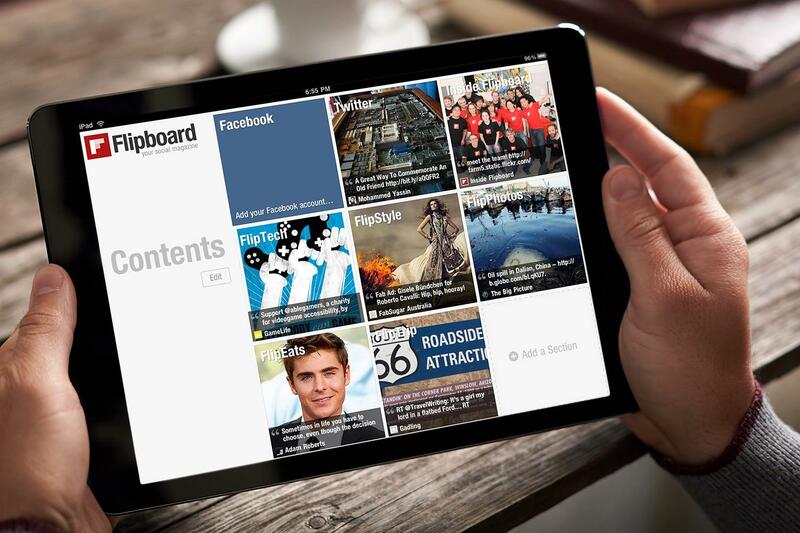 Both Flipboard and Apple News have been praised for their use of a human touch. After feeling the agony of being constantly burned by some of the other platforms like Facebook, and the difficulty for some publishers in communicating with them, publishers have been pleased with their relationships with the news platforms. This human touch extends to more than just contact with partners. Both Apple News and Flipboard employ a large team of editorial staff who select and position articles inside the feed, and even tweaking headlines and pictures for maximum effect and exposure on the app. While both Apple News and Flipboard have brought relatively big influxes of new traffic to publishers, there hasn’t been the same enthusiasm about the monetization of the users, mostly with Apple News. As a platform, Apple News does not send traffic direct to the publishers’ website, and so the publisher cannot monetize using their own ad stack, much in the same way as Facebook’s instant articles work. In March of this year, Apple announced that they would begin to allow publishers to insert their own Google’s DoubleClick for Publishers, which they thought would solve some complaints about monetization, but they do not allow for programmatic or targeted ads, rather only direct deals sold to brands. Apple’s big pitch to publishers now involves their acquisition of Texture, a subscription service that will afford readers access to 200+ publications for $10 per month. While this sounds like a promising revenue stream for some publishers, even with Apple splitting the profits, some news outlets with paywalls already in place would stand to make significantly more revenue if the user subscribed to their own service rather than Apple’s. On the other side of the spectrum, Flipboard is proving to be a promising traffic source, and it is without all the preconditions that come with Apple News. Publishers can connect to the application with a simple RSS feed and apart from a small snippet being shown inside the app, traffic is directed back to the publisher’s website, and hence their own ad inventory. Publishers who have been using Flipboard for some time are seeing the benefits, with big players like Time Inc. reporting that it is now their 4th biggest traffic source behind Facebook, Google and Twitter, and Conde Nast Britain claiming that their numbers now rival those they receive from Twitter. The general consensus among publishers experiencing success with Flipboard is that it is relatively hassle-free, the traffic is steady if not huge, they are not adamant about keeping users in their app, and that there is definitely room for growth in the future. Just another platform for concern? One worrying factor for publishers is the prospect of being beholden to yet another platform. With the increasing traffic from Apple News and Flipboard, and no signs of that going anywhere but upwards, can publishers afford to be reliant on another platform that may eventually control their destiny? As with what happened with Facebook, publishers enjoyed incredible success and were then sacrificed to the ‘Fake News gods’ when they were seen as disposable. Publishers are just as wary to sign up as they are intrigued by a new platform’s value. “What if it works? Then Apple News owns us,” an exec told Digiday. Publishers are looking for a platform that is willing to offer them a bigger slice of the revenue generated, especially when it’s their content that the platforms are aggregating and ultimately, fueling users to return. Ultimately, the need for diversification of traffic and non reliance on single platform will drive publishers to platforms such as Apple News and Flipboard. However, what is one of the shining lights of both is the genuine referrals publishers receive from them. 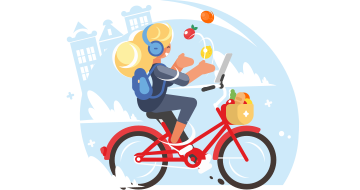 People who are using these applications are there for one purpose – to read and discover content, unlike social media – and publishers are not in competition from pictures from friends’ vacations or hilariously cute dog videos. The referrals received from Apple News and Flipboard are highly engaged with the content – with both platforms allowing for multiple customizations of the feeds by the reader’s specific interests. Engaged readers tend to mean increased page views, and hence more ad views, which will boost revenues. These factors should allow for continued growth in the future and loyal readership who might well be enticed into subscription fees in the future, which is Apple’s goal, and if they can do it, maybe Flipboard can too. Considering the positive traffic numbers coming out of Apple News and Flipboard, and the relatively hassle-free usage on the publisher’s side, it seems as though these platforms are useful sources of diversification. There are some challenges to overcome to monetization but there’s nothing to suggest that the situation won’t improve as they develop. As with all platforms, it’s important not to rely on one source as a basis for a business model and manage the referrals properly from a revenue standpoint. Omry is the Chief Product Officer at PubPlus. His passion for mobile and web environments got him in the loop: Define, Design, Test, Repeat. Defining, designing and developing great products and features is both Omry's passion, and his job. Apart from his tech obsession, Omry is a huge car enthusiast, doting husband, and a father to two beautiful children.